You know, one could make a career out of reviewing Massdrop made products; and, if the products of theirs I have already reviewed are any indication, it would be a mighty fine career. 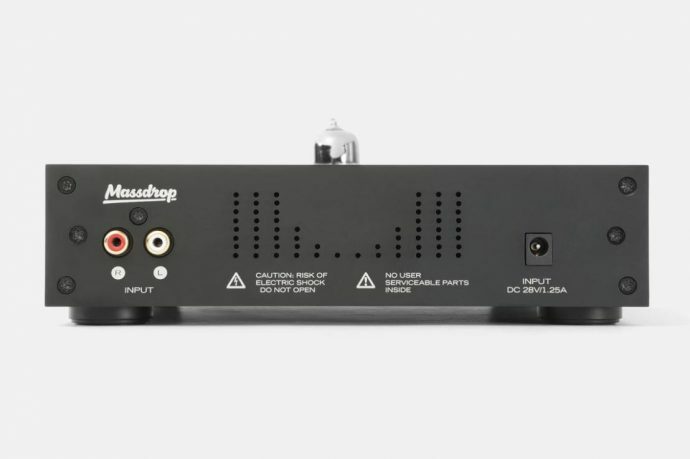 Today, we find a really exciting project on our plate: the Massdrop x Cavalli Tube Hybrid (CTH). 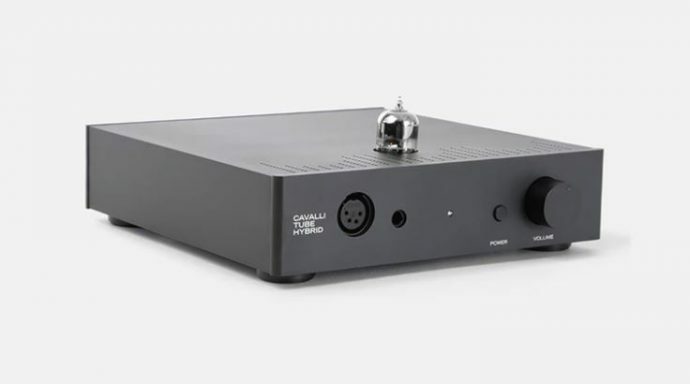 For those interested, I will link to a more detailed description of the Cavalli Tube Hybrid, but the gist of it is that Massdrop was in talks with Alex Cavalli to design an amp based on a DIY design of his called the Compact Tube Hybrid (also abbreviated CTH). This was intended to be an entry level amp for those who wanted to hear the sound of something from Cavalli audio, but didn’t have $1000+ to fork out for one of his limited edition designs. What Cavalli turned in, instead of being just a tweaked version of his Compact Tube Hybrid, was a completely redesigned amp. For more history, click here for the Massdrop page. The CTH is currently in stock, and retails for $249. 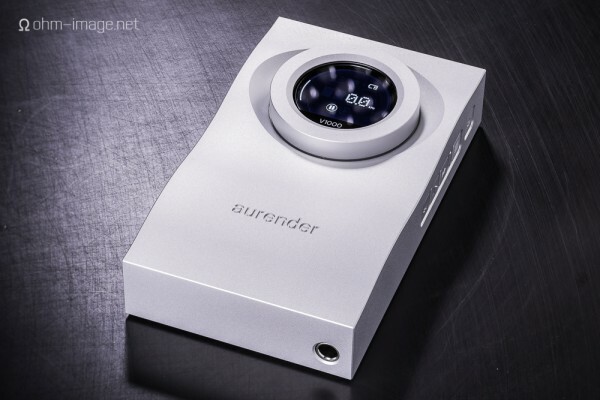 A hybrid tub amp from a well-known designer for $249, huh? That sounds like it is worth a closer look! The Cavalli Tube Hybrid, known as the CTH from here on out, is, obviously, a solid state, tube amp hybrid. It uses but a sole tube of the 6922 variety and its variants. The look of the amp is very plain. 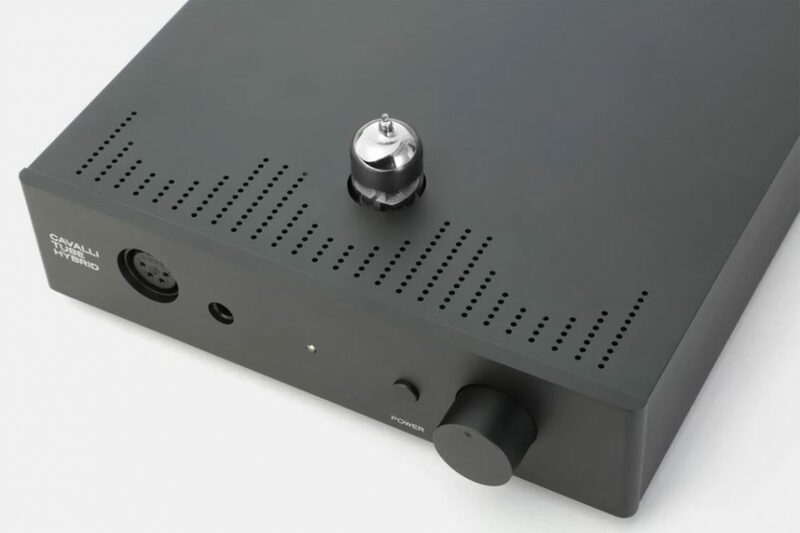 It is housed in a black, aluminum case, and I believe it is the same case also used by Massdrop for their Liquid Carbon and THX amps, just with a hole up top for the tube. Being a company that is dedicated to mass producing items and keeping them as economical as possible, this is a good call. While it may be plain, it is a nice looking plain. It isn’t going to draw attention to itself for any reason, good or ill. Plus, I will remind you that, while cool may come and go, and change with the times, plain never goes out of style. Plain today will be plain tomorrow. More important than the look, however, is that it is well built. For the asking price, it is well put together. Another thing adding to its plain appearance is that there isn’t too much going on with this amp in terms of function. There is no flashy screen, no multitude of out and inputs, and no preamp capabilities. It is just an old fashion amp. The chassis looks a little barren. It has RCA inputs in the back, and the power switch and headphone outs in front. One nice touch, however, is the inclusion of a 4-pin balanced headphone out. 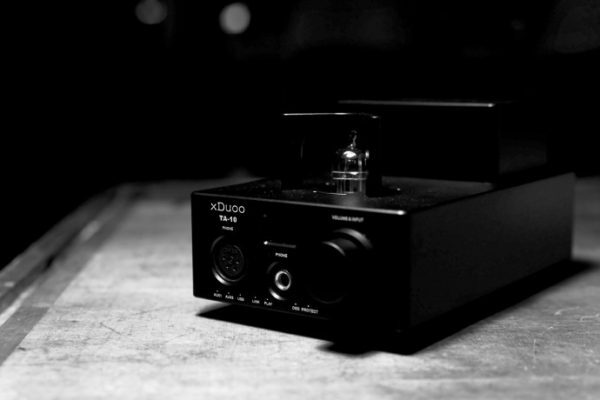 The CTH is a single-ended amp, and there is no sound difference between the single and balanced out. But for those who have aftermarket balanced cables for their headphones, it is nice to not need an adaptor. Before I talk about sound, I want to lay bare my preferences. I was at a meet a last year, and a guy there had a moded HD800 there with a few high powered tube amps (I don’t remember the names of the amps, sorry). They added a lot of warmth to the HD800, but I missed the deeper, tighter bass you can get with SS amps, and all the warmth seemed to be fighting with the natural signature of the HD800, and not working with it. Listening to it on my SS setup wasn’t any better. It was cold and ruthless. The guy called me back over and told me he wanted me to hear something. He broke out a hybrid amp (again, I don’t remember the name) and had me give it a listen. It was perfect. It was very linear, with very tight and deep bass, while adding just a touch of smoothness to the sound. To me, instead of trying to make the headphone something it wasn’t, it complimented the HD800, adding to the strengths of the headphone while smoothing out the rough edges. It made no effort to change the sound. Now, I am not saying this to dump on OTL tube amps, and I know, with different tubes, you can alter their sound quite a bit, but I want to be clear on what kind of sound I favor. And I want to be clear on that, because it is exactly what the CTH delivers. Smooth, yet unbiased. That is the sound we are working with, and I love every second of it. Let’s start with the bottom. The bass on the CTH is full-bodied and impactful. If there is any area what the CTH makes its presence know, it is here. It does add some extra weight to the bass, but never unbalances the sound coming out of the headphones. This is even true (or perhaps especially true) with the Sennheiser HD650, which is already known for having a larger, weighty bass presence. With the CTH, it does slam really hard, but it still never encroaches on the midrange, nor does it slow the HD650 down. The bass tightness and detail are also both quite good, which is very impressive for a tube amp, even a hybrid, at this price point. Damn fine amp for the money, did you try some IEM’s with it Dave? You’d be surprised! Anything under 32Ohm and you’ll be hearing the noise floor of the amp but damn good sound! You and the others are correct about the 650’s with this amp. Like Batman & Robin, a Dynamic Duo! Agree with you on the tube rolling phenom, I do a bit myself but you do start to question it’s purpose sometimes, thank Christ it only comes with one tube and that tube should be sufficient. I have however gone with a Russian NOS 61nP -EV which seems to be holding up well. Cheap as chips but sounds (to me) a greater step up from the EH6922. Glad you like the CTH. Where did you get your NOS tube, out of curiosity. I might have to give it a try some day. Dave, could you clarify a doubt about the difference you spoke of the bass between a solid amplifier and a valved amp, the solid amp has more weight and strength in the bass than the valves? Do Amp otl also enter into this? Why they say 300ohms sennheiser with an otl amp is paradise. I (generally) find the bass on SS amps to be tighter, deeper and more detailed than with tube amps. Of course, there is tremendous variation with tube amps, so some setups will be better than others. OTL tube amps are designed to be used with high impedance headphones, like the Senn 6xx series. However, the HD650 just seems to always sound its best when connected to tube amps. I can’t really tell you why, it just seems to have synergy with tube amps. You really liked the HD650 in this Hybrid amp, for a little more would have the options like the Amp otl BH Crack and the WA3, as you already know the BH Crack amplifier and also the Woo audio, for that extra value you get a noticeable improvement in the sound, or would have to raise the budget a lot to be different? I just want an amp that takes the 650 to the level it deserves. would appreciate your help. DC, I can’t speak about the CTH, although I’m very tempted, but I can tell you the my DarkVoice 336SE OTL and the 6xx are a match made in heaven. The stock tubes blew me away when I first listened to it. I didn’t think it could be better, but after spending about $100 on some additional tubes I have a setup I’m very happy with. End game happy. My solid state amps are the Topping NX4, Aune X1S 10th and the AudioEngine D1 and I like them with the 6xx in that order. None are close to being as good with the 6xx as the DV 336SE. Would the 336SE OTL be on the same level as BH Crack? Do you know where to find the 336SE OTL dealer in Europe? How do you think it’d sound with EarSonics S-EM9s? I know, it’s a specific question, but it’s what I got, ha! I have both. Its kind of hard to describe the effect without just saying that it “sounds better”, when I compare it a good mobile player like my LGV30 or my Dragonfly red. Its a very clean and warm sound. Details come out more and are more lush. I haven’t noticed it influencing the balance of the signature in any way. It kind of just brings out the best of the earphone and covers up its faults. Bass and treble still seems slightly elevated. The mids seem a little thicker, which is really nice since I find the mids to be a little thin on the SEM9 depending on the source. It never sounds muddled. Where I usually don’t like female vocals on the SEM9 they sound very nice and have good timbre through the CTX. Sound stage seems about the same. There is a bit of hiss as well but its not noticeable for me unless I’m not playing music. I don’t think its an exceptional amount of hiss and it doesn’t affect me in any way. I always luv your review da most, Dave. Least exaggerated. Thank you. Probably gonna go with the CTH. Yo Dave I have a disagreement on the low impedance headphone part. I have a pair of Audeze LCD-2Cs & Focal Elexs that both sound phenomenal on the CTH. The caveat here is that with planars like the 2C the bass does get slowed down a bit. It doesn’t have that same visceral slam like a solid state would. However, it opens the 2Cs up a lot & injects more air into the treble beautifully so that’s the trade off. I will be tube rolling to see if I can get the fast bass back. Someone gave me a tube suggestion so I’ll post my findings when I buy it. There is no caveat for the Focal Elexs though. At only 80 ohms it shouldn’t pair well as you’d say but it’s the best sounding amp I’ve heard with them. Everything about the CTH takes the Elexs sound signature & takes it up to 10. They synergize so well. The Focal Clear (55 ohms) sounds amazing with it too, though I haven’t had as much time with those as I have the Elex. I’m madly in love with my CTH. 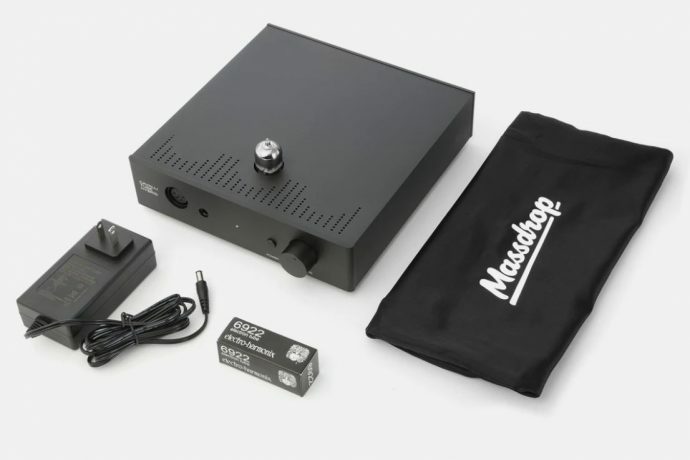 An endgame tube amp for only $250 is an incredible value. This amp continues to delight and surprise. I can’t agree more with your review. It’s an amazing achievement and I wouldn’t shudder if it were priced 3 times higher. For the process to know the update and the entire settings for the setup of the hybrid tube which you can also get the idea and the updates news from there. This is an absolutely perfect review which you mention here, I am impressed with how you describe the matter, keep sharing your view. Finding & installing an up to date printer driver on the epson support website. Hey, I am very thankful by read this content. Keep sharing your knowledge with us. You Are Sharing me Excellent Content with us. keep sharing your update with us.